Kaymer All Set For An Emotional Double – Links to articles and blog posts about the glorious game of golf! When Martin Kaymer lifted The Players Championship last month, he could not contain his emotions after he tapped in the winning putt. It was Mothers Day and because of this, the typically calm and composed German struggled to hold back the tears, as he celebrated his victory on the 72nd hole. In 2008, Kaymer lost his mother, Rina, to skin cancer.She passed away just weeks after he had dedicated his Abu Dhabi Championship victory to her, knowing that her battle against the disease was beginning to take its toll. It goes without saying that as a victorious Kaymer emotionally embraced his caddie Craig Connelly on the 18th green at The Players Championship, the memory of his deceased mother was dominating his thoughts. Kaymer’s father, Horst who is ostensibly retired, has been assisting and supporting his youngest son with his roller coaster golf career over the past few years. During this period, Kaymer won the 2010 USPGA, briefly rose to world number one back in 2011,sunk the winning putt at Medinah in 2012, was as low as 69th in the world rankings earlier this year and now the German is on the verge of securing his second major this week. 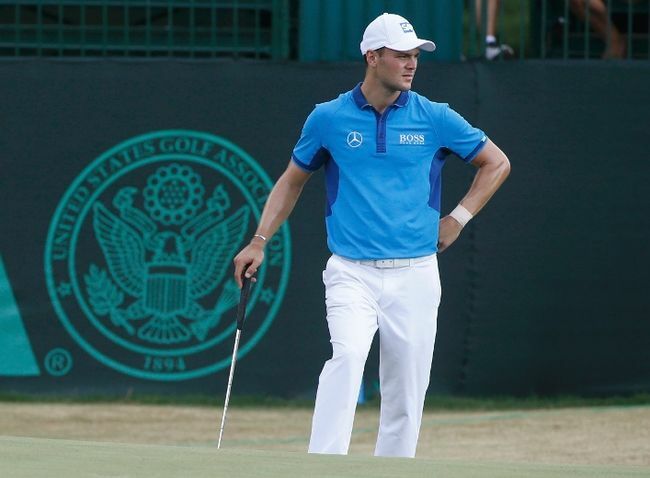 Kaymer, who up until now is arguably best known for that winning putt in the 2012 Ryder Cup, holds a seemingly unassailable lead at the US Open, which is being played at the difficult Pinehurst 2 course. Well it has been difficult for the majority of the field; not Kaymer though, who has posted two rounds of 65 to put himself in pole position for the biggest victory of his career.He does not look like he will be second best this week and could quite possibly surpass the eight stroke victory Rory McIlroy enjoyed at the US Open back in 2011. Yes, he is playing that well. This Sunday, when the final round commences, Fathers Day will also be celebrated throughout America. 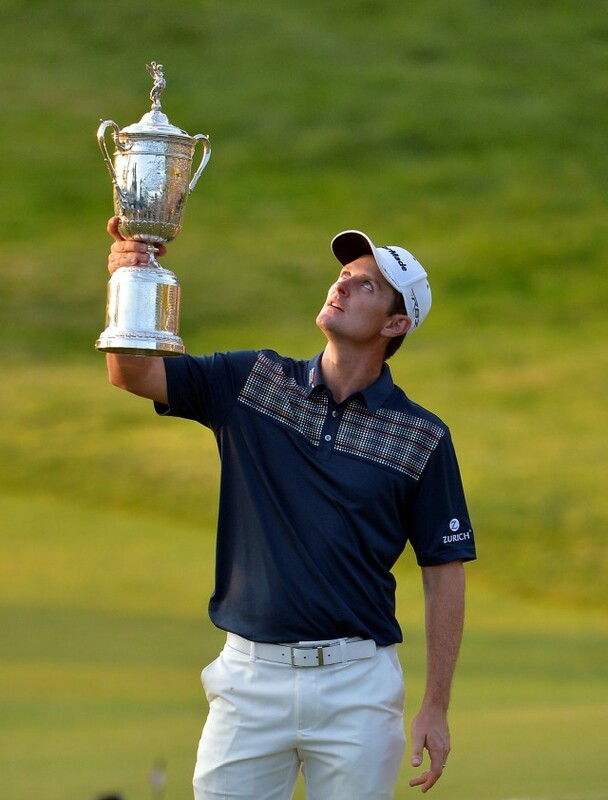 There have been some emotional victories at the US Open in recent years, including the wins for McIlroy and McDowell but in particular last year, as this weeks defending champion Justin Rose pointed to the skies in honour of his deceased father, after he sank the winning putt. Shortly afterwards, the Englishman broke into tears after realizing he had reached the pinnacle of his career, and his father had played a huge role in his success. Ken Rose was Justin’s first golf coach as well as his mentor. It would take a brave(or silly) person to bet against Kaymer claiming a wire-to-wire victory this week. The stage seems to be set for himself and his dad Horst to enjoy a tearful, joyful, emotional father/son moment on the 18th green this Sunday; aka Fathers Day. The second part of a very impressive double that his mother would be proud of. There is no doubting that drama will ensue at Pinehurst 2 over the weekend, however Kaymer will prevail. It is just meant to be.